Michael had his first drum lessons with Ryzchard Soberka at age 6 and short after was making music at the Musikverein 1921 in Salmünster. In the summer of 1990 participates for the first time in the “Sommerorchester der Landesmusikjugend Hessen” as percussionist and from then on has been busy playing with several orchestras and groups including the Verbandsorchester Vorspessart in 1992, and from 1993 at “Landesblasorchester des Hessischen Turnerbundes” till end of 1999, recording several CD’s with both ensembles. 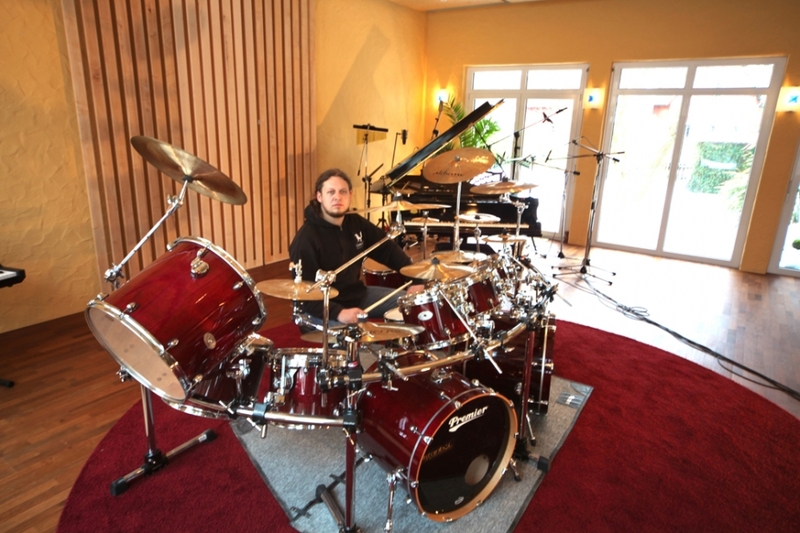 Michael continued his percussion studies with Prof. Alexander Peter at the Academy of Music "Franz Liszt" in Weimar, and at the same time had various temporary jobs at the Jena Philharmonic (percussion), the Staatskapelle Weimar (percussion), the Thüringen Philharmonie Gotha - Suhl (percussion), the Neue Philharmonie Frankfurt – playing timpani and percussion with such renown artists like Sabrina Setlur, Chris de Burgh, Chris Thompson, Eric Burdon, Laszlo Bencker and Bobby Kimball among many others - the Junge Deutsche Blechbläsersolisten (Dir. Prof. Walter Hilgers), and Ensemble Kontraste. Michael had also the chance to participate in a music workshop and concert with Emerson Lake and Palmers’s Greg Lake. Since 2001, Michael is the principal timpanist of the FH Symphony Orchestra Munich and was the featured soloist performing Ottmar Gerster’s “Capricietto for 4 timpani and string orchestra”, and his versatility as percussionist lead him to joined the classic metal band HAGGARD in 2003. From the 07/08 season is substitute in the Staatskapelle Weimar and regular assistant in the Thüringenphilhamonie Gotha - Suhl and the Thüringisches Landestheater Rudolstadt. 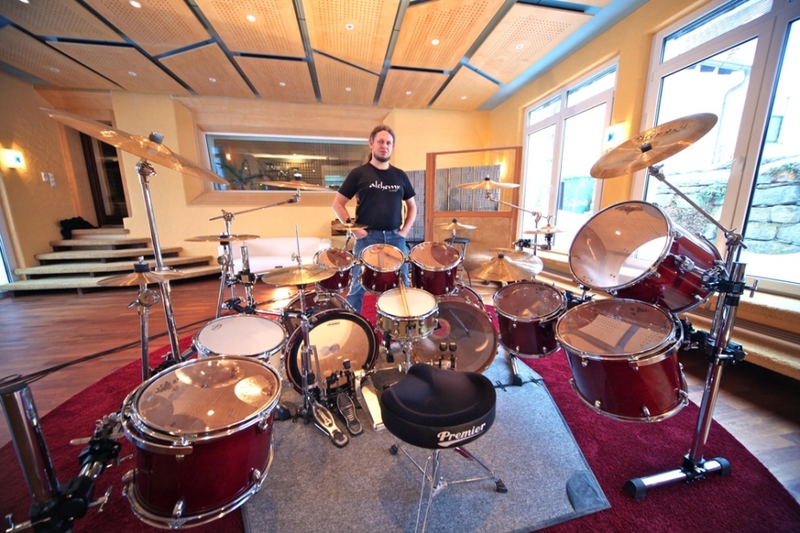 Since June 2007 drummer for TINA D12 Studio work and recordings with different producers including Dieter Roth, Lesslie Mandoki, Torsten Wintermeier, and Matthias Middelkamp among others.